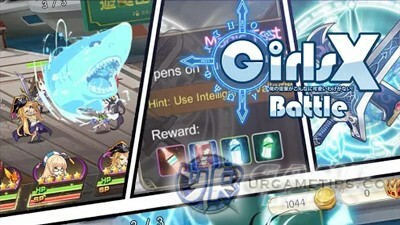 Here's the Part 1 of our quick walkthrough guide and tips for the Android and iOS RPG game Girls X Battle. - Follow and complete your Main Tasks while doing Campaigns to give you ideas on what to do next. No need to rush, just reach what you can with your current team, if you can no longer advance, stop and refer to the "Once You Hit A Wall" section below. - These Daily Missions are a must "to-do" tasks to gain Academy EXP and increase your Academy Lvl, the most important stat in the game. - Just complete what you can to get various rewards. - Check the given time and claim your Free Stamina during that time. Note: Missed rewards can't be reclaimed. - Sign-in everyday to get awesome rewards, especially the free Battle Girl of the month. - Do not waste your Coins here, just use your "Free Chances" for some extra items, and to complete a Daily Task. Spend your Coins into more useful options like upgrading skills. - Only Use the "Buy 10 Option" at later levels once you have lots of Coins. Some items here are very useful for promoting and evolving Battle Girls. Make sure you have a couple of Millions though for upgrading skills. - Your 1st draw has a very high chance to reveal a 3 Stars Battle Girl, so it's a good idea to spend your first 288 Diamonds for this one early game. - You can quickly earn Diamonds by completing tasks, redeeming campaign star bonuses, and through the arena top floor rewards via Mail. - After that, just grab the "Free Chances" after the cool-down timer (about 2 Days). - Earn your Diamonds and aim for the "Buy 10 Option" next to get a guaranteed Battle Girl. - There are so many limited events in this game that will give various rewards to all new and existing VIP or F2P players. To check it out, go the Activity and Event sections in-game. - Complete what you can and redeem your reward. - Like their page through the game to join the events. Check their page for other off-game events, then redeem the code under System Settings to get the reward. - This message will appear once you hit Academy Lvl 11. Rate the game to receive Diamonds! Continue the tutorial until you get all starting 5 Battle Girls, just reach what you can with your current team. Do this while following your Main tasks. - Getting 3 Stars will unlock the "Auto Fight" feature and the "Raid Option". It requires Raid Tickets to automatically complete the stage without fighting the enemies again. - Normal Battles: EXP is evenly shared to all Battle Girls who joined the battle. - Raid Battles: No Battle Girl EXP, but you'll get EXP items that you can use to any Battle Girl you choose. - Receive rewards by accumulating the Star Bonus Bar. Once You Hit a Wall! - You can check your Academy Lvl and current Lvl Caps by clicking on your character's portrait. - Academy Lvl is the most important aspect in the game. It will unlock new features and strengthen your Battle Girls by lifting up their Lvl and Skill Lvl caps. It also increases your Max Stamina for more gameplay time. - Get Academy EXP from battles and Daily Tasks completion rewards. - 2nd most important aspect in the game because it lifts up the Lvl cap of abilities, and will greatly increase skill damages. - Stats increases depending on the Stats Growth of the Battle Girl. -You can also check the levels of your enemies by tapping on their portraits in the stage info screen, before the team selection screen. - If one of your Battle Girls is maxed, you might want to switch her to one of your lower leveled ones to level her up too, especially when doing replays at lower stages. To effectively level up a new front line Battle Girl, you might want to add another tank, healer, or just feed her EXP juice. Are My Starting 5 Battle Girls Worth Leveling? - Here's some tips to ease your mind and decide. - Focus on her gears to tank well early game. She is ok to use until Green+1 or Blue+2 promotion, but for Purple+, better farm Iron Fist's Scrolls from Elite stages and replace her. If you were able to draw a 3* tank from your first 288 Diamond draw, replace right away, but keep farming Iron Fist even if you got a 3* tank. - Other notable great tanks are Leona, Wildtress, and Succuba. - Hold on to your Aquaris though because she'll come back late game (around Lvl 85+). - DPS Magic users, OK to promote until Green+1 or Blue+2 to fill up team slots early game and for specific PvE stages in the game (like magic users only stages). Beyond Blue+2, both Battle Girls will start to fall off, so replace them with better ones. - If you received a 3* DPS Battle Girl from your first 288 Diamond draw early game, replace Lightin first. - Hold on to your Lavia though because she'll come back late game (around Lvl 90+). - Full upgrade!, she is an awesome all-around DPS Battle Girl, and perfect for Physical attack teams. Her Silence is valuable to all teams making her a powerhouse Battle Girl. - Mainly your PVE healer, highly recommended to upgrade. Not advisable though for PVP unless you want to run a healer defense team late game. - Don't just focus on 1 team, you also need backups or a 2nd and 3rd Team to help you out on the other aspects of the game, like fighting under special conditions that requires more Physical or Magic attackers, Battle Girls with certain elements, and for Arena multi-team battles. - Ultimate Skills can be activated when the MP bar is full. It is filled when your Battle Girl attacks, gets attacked, or if they will do last hit kills for +300 MP bonus per kill. - You can control certain Ultimate Skills to target specific targets or area, [Tap+Hold] while active then drag it to your target. - Note: HP and MP Regeneration only triggers between waves or battles. - Non-ultimate skills activates automatically during battle with their own timing and stuff. - Skills that can increase stats or heal the team. - Disability skills like stun, silence, or freeze, upgrade them to keep their success chances high. - Promote your Battle Girls to make them stronger (will add stats from gears) and to unlock new tier of skills. - To check where to farm the item/s needed, simply click or tap on the grayed item gear of your Battle Girl to view more details. Tap on the map or stage name again to automatically take you there, if it's accessible. - Reach Academy Lvl 11: Elite Campaigns will be unlocked. 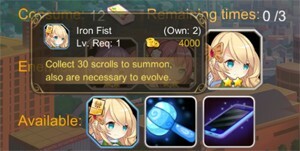 Farm Scrolls to get more Battle Girls by completing a set of Scrolls. - I recommend you farm them all, since they are only available to farm trice a day. - Farm all Battle Girls that you don't have yet, yes others are somewhat harder to earn, but keep on going while you have the time (note: the limit is only 3 times a day per stage). This is also a nice way to spend some of your excess Stamina. - Battle Girls with only 10 Scrolls requirement are also good. Well, honestly, they might not make it into your top team early to mid game, but they are still useful for different purposes. Some of them are also great late game. - Optional Method: When farming Scrolls, the chance is just around 33%, so other players do this: Once you get 1 Scroll, stop farming on that stage, this is because most of the time, once you get the Scroll, it is hard to grab another one. - Iron Fist (best from Purple+) and Smartie (control hero, best for physical team). - Fortune (best around Lvl 85+) and Fanny (best around 70+). These are long term farming that you should start from early game. - Optional: Jinx (best around Lvl 70+), Leona (if you need more tanks), Rosie (notable tank for guild raids), and Lily (if you still don't have a control BG for magic team). - If you already have the Battle Girl, her Scrolls will now be used as Evolution Materials. Farm them if you have extra Stamina. 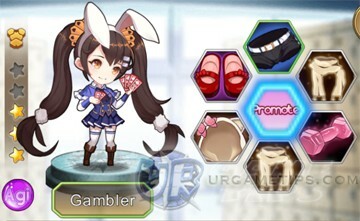 - Evolving your Battle Girls will increase their Stats Growth Rates. - I also highly recommend farming these Scrolls from Elite Stages early game: Iron Fist, Smartie, Pandaria, Geisha, Fortune and Fanny. - Yes, tap on your Stamina bar to trade 50 Diamonds for 120 Stamina. - Note: F2P gamers can only do this once a day, unless you have VIP status. - Unlocked at Academy Lvl 12. Tap on your Coins Bar for more details. - Do this only once a day to get the Academy EXP from Daily tasks. - Like I said above, your 1st draw has a very high chance to reveal a 3 Stars Battle Girl, so it's a good idea to spend your first 288 Diamonds for this one early game. - To earn fast Diamonds, win the Arena: Top Floor and get to at least Rank 500 or higher. - Only for VIP players, this is highly recommended to increase your Scrolls gain per day. - Only available for VIP 9 players, a nice place to get rare Battle Girls.